Happy Halloween from At Home In Louisville Real Estate Group! 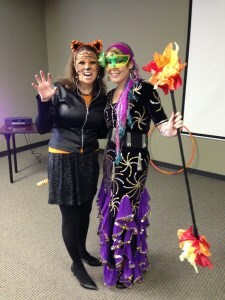 Last Wednesday October 28th, Keller Williams Realty East had a great day of Fall Festivities. We kicked off the day with our office meeting which concluded with a costume competition with prizes for best individual and group costumes. Evan McWhirter took the individual prize with his fantastic Mario Cart costume complete with bike & balloons! At Home In Louisville was so excited to win the group prize with our fun circus theme "Madame Kathryn's Circus Freaks". 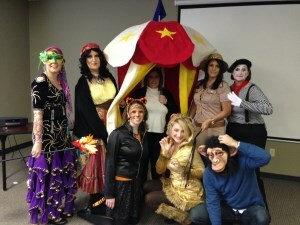 Most of our team was available to attend that morning and we had so much fun representing different circus characters. 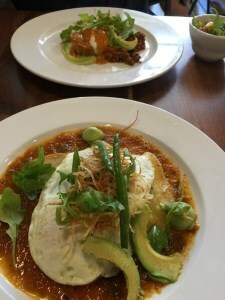 Later in the day, there was a chili cook off. Pam Ruckriegel took home the trophy for best chili. The day finished with trick or treating for children & family of our terrific staff. We had a good number of children roaming the halls and saw some great costumes! The office was a spooky spot with most of the doors decorated for the season. Our space was in line with our theme complete with Big Top decor, balloons, music, and even some silly fortune telling from Kathryn. What fun! We hope you all had a wonderful & safe Halloween. Join At Home In Louisville This Sunday November 1st for FOUR spectacular Open Houses! 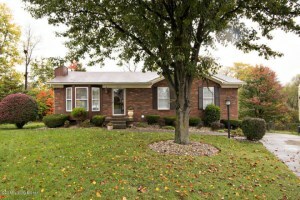 8909 Bobrader Ct is a 3 Bedroom ranch in Watterson Woods. 2619 Merhoff St is a 2 Bedroom ranch near U of L. 3032 Peale Ave is an updated 3 Bedroom Cape Cod. 3900 Fallen Timber Dr is a beautiful 5 Bedroom home in Brownsboro Farms! Stop by and tour these wonderful homes this Sunday! We would love to see you! Call 502-371-1173 to discuss these and other Open Houses in Louisville KY.
At Home In Louisville Real Estate Group will be hosting THREE Open Houses in the Louisville area this weekend! 296 E Laurel River Drive is a beautiful 4 Bedroom home on 1.3 acres in Shepherdsville and will be Open this Saturday from 2-4. 2619 Merhoff Street is a fantastic 2 Bedroom Ranch near U of L and will be Open Sunday from 2-4. 3032 Peale Ave will also be Open Sunday from 2-4 and is a terrific updated 3 Bed Cape Cod near Bowman Field. Three lovely homes all available This Weekend for personal tours! Call 502-371-1173 for more information regarding pricing & property details or visit us for an Open House in Louisville KY this weekend! At Home In Louisville Real Estate Group will be hosting two Open Houses in Louisville this Sunday October 18th from 2-4pm. 3032 Peale Ave is a fantastic three Bedroom Cape Cod in Hathaway and 2619 Merhoff St is a well maintained ranch in Parkway Vista. Enjoy a quiet Sunday & tour these lovely homes! Call 502-371-1173 for more information. We would be glad to discuss additional features & pricing with you. We would also welcome the chance to visit with you Sunday or give you a showing at a time of convenience. Join At Home In Louisville Real Estate Group this Sunday October 11th for an Open House at 3032 Peale Ave in Hathaway! You will absolutely love the location & immaculate interior! Just what you've been searching for with 3 Bedrooms, 2 Full Baths, fenced in yard, and 1 car detached garage! Give us a call today 502-371-1173 to learn more about this lovely Open House in Louisville, KY! 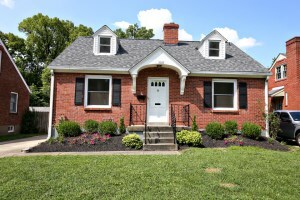 2619 Merhoff Street Louisville Ky 40217 is a fantastic two bedroom ranch in the Parkway Village neighborhood. The home sits just minutes from Audubon Park & the University of Louisville. 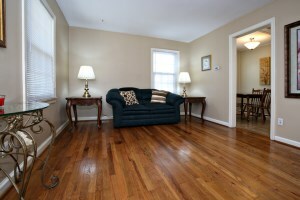 The front entry opens to a lovely Living Room with hardwood flooring & warm neutral walls. The Eat In Kitchen is good sized with plenty of cabinet storage space and a comfortable Dining area. 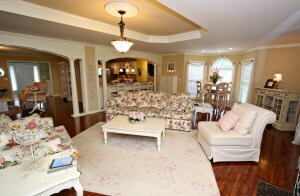 The Family Room is large & accented by a picture window. The Bedrooms feature hardwood floor and are convenient to the Full Bath. A Laundry room rounds out the floor plan. 2619 Merhoff Street Louisville Ky 40217 has a fully fenced yard and relaxing patio for outdoor entertaining & dining. The property also offers an oversized detached garage with abundant space for workshop projects or storage. The home is completely move in ready with a new roof and siding installed in September of 2015. The current owners also added 3" insulation to the attic. You will fall in love with the location & tasteful design! Call 502-371-1173 for your private showing of this beautiful home in Louisville! At Home In Louisville Real Estate Group will be hosting two Open Houses in Louisville this Sunday October 4th from 2:00-4:00pm. 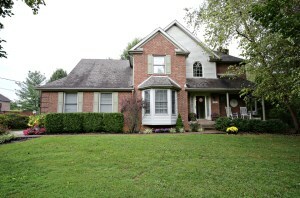 296 E Laurel River Dr in Shepherdsville is a beautiful four bedroom home with a walk out finished basement. The home sits on a quiet cul-de-sac lot in Lazy River North. 2619 Merhoff Street is a move in ready 2 bedroom ranch style home in Parkway Vista. You'll love the hardwood flooring, fenced in yard, and relaxing back patio. 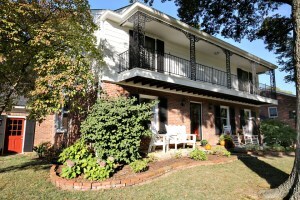 The home is in a great location and close to the University of Louisville. Call 502-371-1173 for more information or visit us this Sunday and take a tour!